Patrick Billingham talks about The South London Jazz Orchestra and continues his look at playing outdoors. It is a community band, based in Brixton, with well over a hundred members to call upon. For this gig, they had the regulation eight brass, four piece rhythm section and, by my count, almost twenty saxes, some of whom doubled on flute, clarinet and rhythm. Despite its size, the section was very tight and together throughout. This band has regular gigs, mostly in and around London. To find out where they are playing, you can visit their website sljo.org.uk. The Sussex Jazz Orchestra had an unusual assignment in early June. The brass section provided accompaniment to the Mass during a Corpus Christi service. After which, band members joined the congregation in the processional hymns. Finally ending up outside where the whole band played the final hymn. Straight, not swung. After this the SJO reverted to its usual jazz repertoire for the lunchtime entertainment. Which led me to think. Apart from funerals of big band enthusiasts and musicians, where a selection of the deceased favourites are performed, have big bands played much for church services? I have heard that some bands accompany carols at Christmas time. I am aware, also, that there are big band arrangements of some of these tunes. I shall look further into this. Meanwhile if anyone reading this has any information on the matter, please let me know. Now some excellent news. After an absence of thirteen months, the Studio 9 Orchestra is back on the scene. Unfortunately, I did not get news of their gig at The Brunswick in time to include in last month’s gig guide. With Julian Nicholas standing in for Philippe Guyard, and Martijn Van Galen directing, the band was in great form and still demonstrating its usual high standards of performance and repertoire. It is a pity that the audience were outnumbered by the band. Since most of, if not all, this audience are jazz musicians, I suspect that the majority found out about this gig by personal contacts. So I shall emphasise, once again, that if you know of any upcoming big band gigs, please let me know well in advance. I would far rather get 50 notifications for a particular gig, than to omit from the listings, one that escapes my researches. With the unusually clement weather of recent months, it is worth continuing the discussion from the previous two issues on outdoor performances, by addressing an aspect that all too rarely has to be considered. That of wall to wall sunshine. Firstly remember to apply plenty of Factor 50 as you are likely to be exposed to ultra-violet for upwards of two hours. Secondly, it is advisable to wear a hat, especially if, like me, you are outgrowing your hair. Back to the all too familiar Summer conditions; a useful strategy to minimize the problems associated with playing outside is to avoid the lengthy charts in the pad. Ideally to ensure that the programme consists of single or two page charts which are easier to handle in windy conditions. It is also a good idea, with a vertical stand, to keep a foot on the base to prevent it toppling in a sudden gust. Technology may ultimately provide the solution. When inexpensive A3 sized tablets, clamped to the stand, or even built into the stand, are available, the need for paper charts would be dispensed with altogether. Displaying two A4 pages at a time, longer charts can be scrolled through. And where a sign to coda section is involved, the intermediate pages can be hidden, once they have been played. Looking further ahead, we may be able to eliminate music stands altogether. Although audience reaction to seeing big band musicians wearing virtual reality goggles in order to read the music may need to be taken into consideration. Next month: Hopefully more news about big bands based in, or appearing in, the county, and perhaps another band profile. If you would like your band featured, and I have not already contacted you, please get in touch. Or if there is anything else, such as gig news, or feedback on this column, that you would like me to include in August’s Big Band Scene, please send it to me by Wednesday July 25th. My email address is g8aac@yahoo.co.uk. 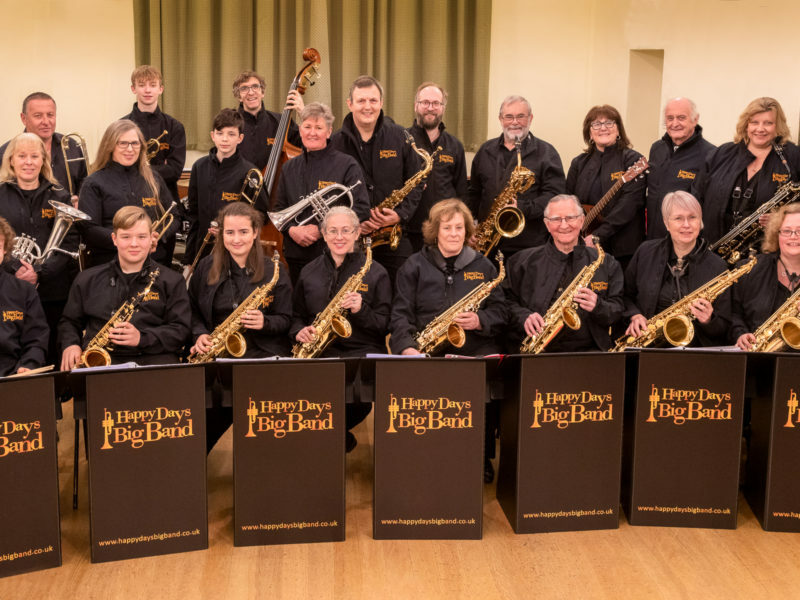 8:00 – 9:30 pm, Big Band Sound 02: The Brighton Big Band with Dave Williams on Eastbourne Bandstand, Grand Parade, Eastbourne, East Sussex BN21 3AD. Advance bookings (01323 410611) £5/£2.50, or on the night £7/£3.50. 2:00 – 4:00 pm, The Wacky Band at The Wheatsheaf, 2 Barnhorn Road, Bexhill-on-Sea, East Sussex, TN39 4LR. (01424 842004). Free entry. 8:00 – 9:30 pm, Big Band Sound 03: Big Band Sounds on Eastbourne Bandstand, Grand Parade, Eastbourne, East Sussex BN21 3AD. Advance bookings (01323 410611) £5/£2.50, or on the night £7/£3.50. 2:30 – 3:30 pm, The Wacky Band at The Great Gatsby Fair, Metropole Lawns beside the De la Warr Pavilion and along the Seafront, Bexhill-on-Sea, East Sussex, TN40 1DP. (07828 772475 daytime; 01424 218803 evenings). Free entry. 3:00 – 5:00 pm, The Wacky Band at The Bull’s Head, Boreham Street, Hailsham, East Sussex BN27 4SG, (01323 831981). Free entry. 3:00 pm, The Glenn Miller Orchestra, with Swing Time Jivers and Polka Dot Dolls at The Theatre Royal, New Road, (01273 328488) Brighton BN1 1SD. £22.90 – £29.40. 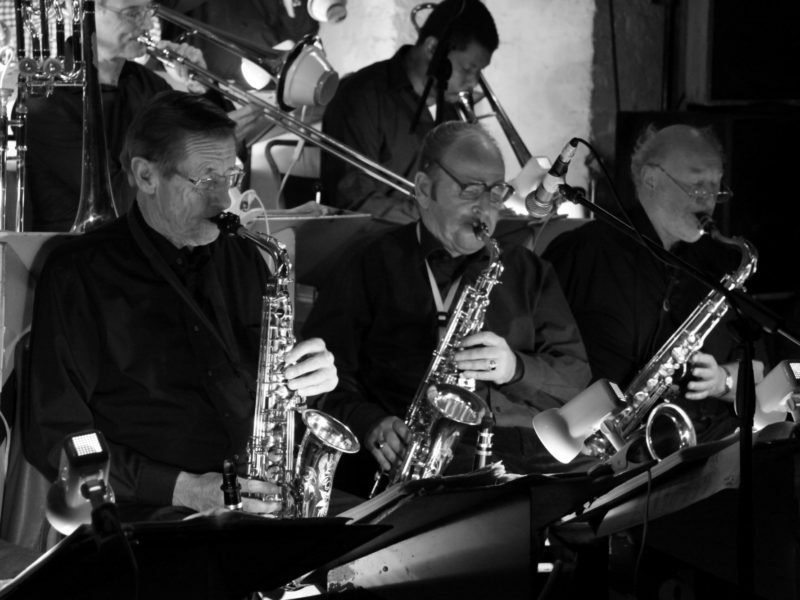 8:00 – 9:30 pm, Big Band Sound 04: The Swingshift Big Band on Eastbourne Bandstand, Grand Parade, Eastbourne, East Sussex BN21 3AD. Advance bookings (01323 410611) £5/£2.50, or on the night £7/£3.50. 8:00 pm, Basie and Beyond with The South Coast Big Band at The Underground Theatre, 1, Grove Road, Eastbourne BN21 4TL (08432 891980). £12/£11. Doors open 7:30. 7:30 pm, A Tribute to Frank Sinatra & More Big Swing Hits with Ryan Mac & His Band at The Pavilion Theatre, Marine Parade, Worthing, West Sussex, BN11 3PX, (01903 206206) £23.50/22.50. 8:00 – 9:30 pm, Big Band Sound 05: The Brighton Big Band with Dave Williams on Eastbourne Bandstand, Grand Parade, Eastbourne, East Sussex BN21 3AD. Advance bookings (01323 410611) £5/£2.50, or on the night £7/£3.50. 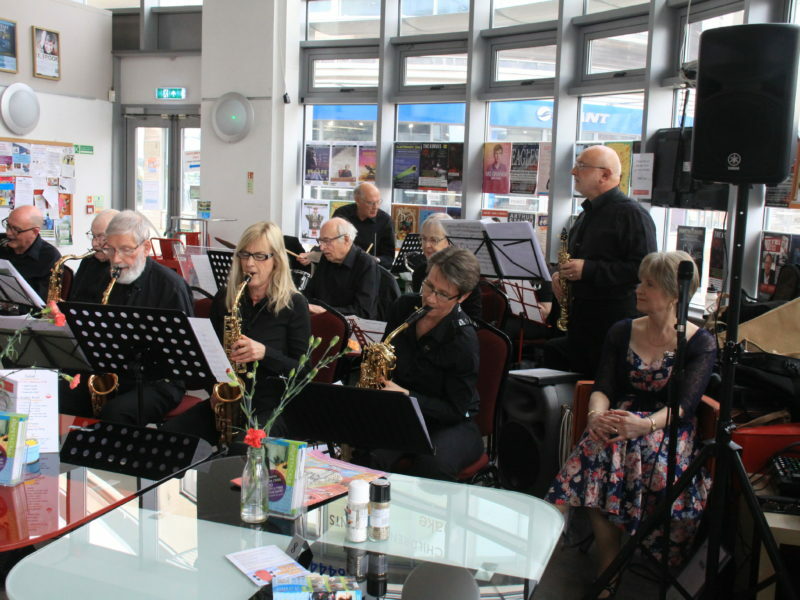 3:00 – 4.30 pm, The Brighton Big Band with Jackie Sampson on the seafront terraces, Rottingdean, East Sussex BN2. Free admission.